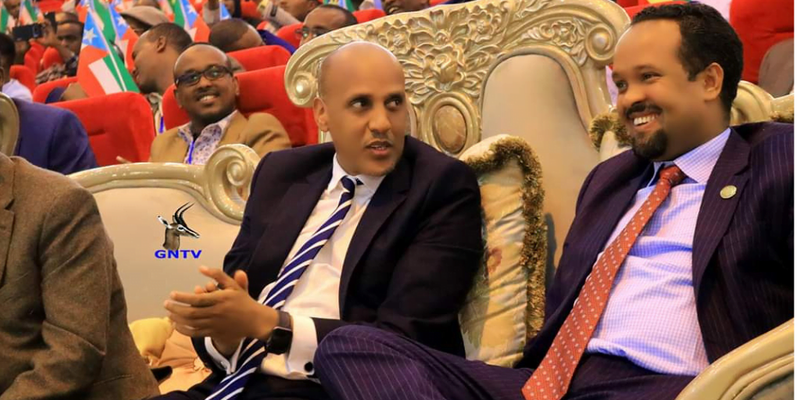 Addis Abeba, April 01/2019 – The 10th organizational conference of the Somali People’s Democratic Party (SPDP) underway in Jigjiga city, the capital of Somali regional state. The conference began with preliminary panel discussion on various topics on Sunday March 31 and is expected to last until Wednesday April 03/2019. This is SPDP’s first major organizational conference since the ousting in August 2018 of former president Abdi Mohamed Omar , a.k.a Abdi Iley, following a major security crisis in the region. Abdi Iley is currently in federal prison in Addis Abeba being tried for alleged gross human rights violations related to the weekend of August 04 violence in the region in which dozens of civilians were killed and thousands displaced. The conference, which is being attended by officials from other parties of the ruling EPRDF, is expected to elect new executive and central committee members. 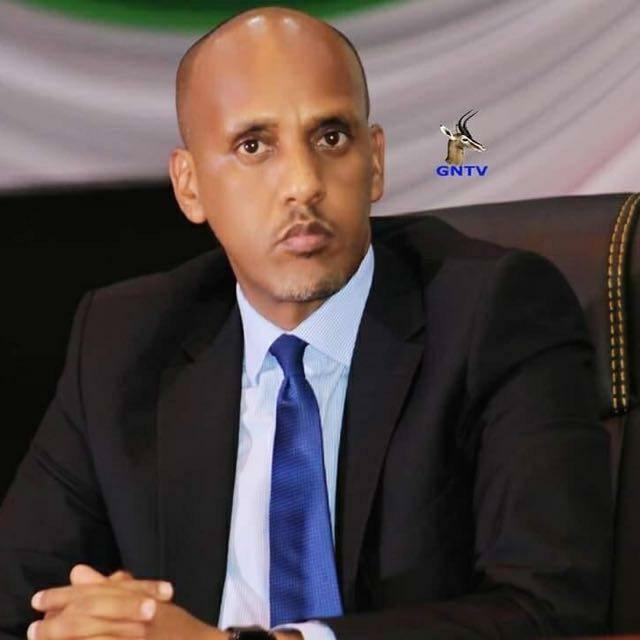 According to sources close to the party, Ahmed Shide, currently the federal finance minister and chairman of SPDP is more likely to be reelected again. However, the first major breakthrough will be Mustefa Omer’s possible election as deputy chairman of SPDP. Mustefa, who is currently the deputy president of Somali regional state, came to assume his position following the ousting of his predecessor Abdi Iley, but unlike both Ahmed Shide and his predecessor, so far Mustefa is neither a member of SPDP’s executive nor its central committee, which is seen by many as a major setback to the reform agenda the former UN staff member wanted to conduct within SPDP. 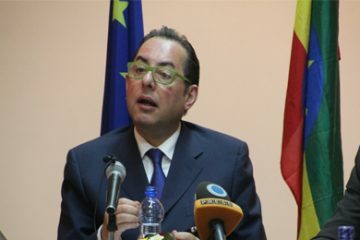 The second breakthrough is the rapprochement between Mustefa and Ahmed Shide after the former publicly accused the later of “treason” and orchestrating “highly dangerous, sophisticated, and well planned attempt to plunge the region into chaos and collapse.” At a preliminary panel discussion of the ongoing conference, the two were seen seated next to one another following a warm welcome Ahmed Shide received from Mustefa and his cabinet members upon arriving in Jigjiga Garad wil-wal Airport last Saturday. The unexpected spat between the two back in January 2019 garnered the attention of PM Abiy Ahmed when he met both and discussed “development and security activities of the region. The meeting concluded with PM Abiy providing direction on strengthening the development of the region,” the PM’s office said at the time. Since then, there has been a steady normalization of relations between the two who are now likely to take the chairmanship and deputy chairmanship of the party which will likely play a major role in national politics in the coming years. During his opening speech today, SPDP chairman Ahmed Shide highlighted the need to increase women’s participation within the party as well as continue the reform agenda being undertaken by the current leadership in the region. Editor’s note: this news has been amended to correct the statement that Mustefa Omer was not a member of SPDP by: “so far Mustefa is neither a member of SPDP’s executive nor its central committee.” Mustefa became a member of SPDP a few weeks after he became vice president of the Somali regional state.